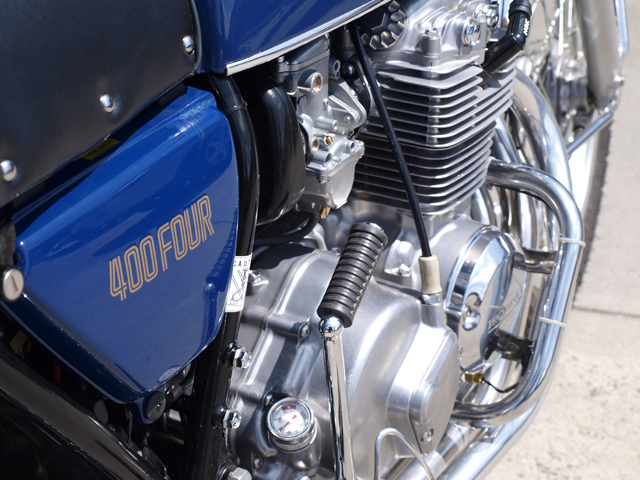 Back in 1975 the ‘little’ Honda four’s – including the 350, 400 and 500cc were well regarded for being extremely smooth & quiet engines. With it’s distinctive 4 into 1 exhaust, flat handlebars and a cool looking tank shape the Honda 400 SuperSport is a bike that ages very gracefully. 38 years later and Japanese expat, Nobukazu ‘Nobu” Kobayashi is reliving what it feels like to own a ‘new’ blue SuperSport 400. Nobu is a full time Japanese language teacher who in his spare time decided to restore his own Honda icon. Almost three and a half years ago he bought a tired Honda SuperSport on ebay. 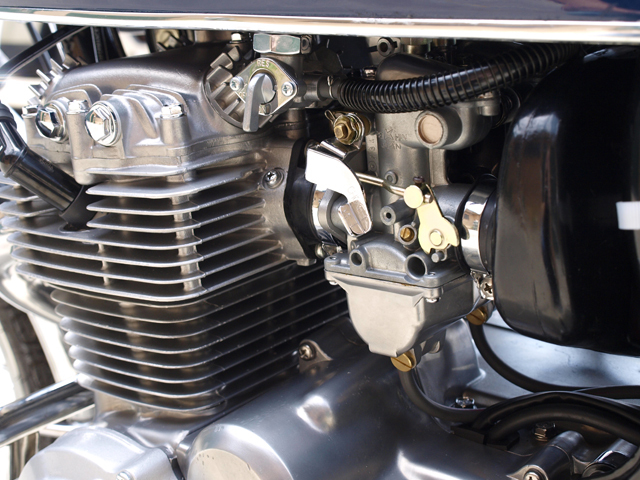 After stripping the bike down to it’s various separate components (to the last screw) he treated all of the parts to the many cleaning and repair processes required for a restoration of this caliber. 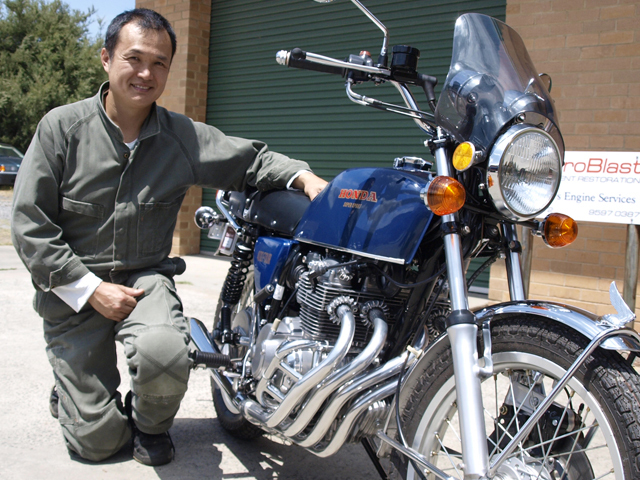 Here at Hydroblast we’ve gotten to know Nobu well - as we’ve seen almost every part of his bike at one stage or another. Every piece of steel and alloy was firstly stripped in the hot tank, wet abrasive blasted and then bright finished. While carefully inspecting for further repairs Nobu organized all of the parts and services he would use before the final assembly like painting, electroplating, respoking wheels etc. Our in-house engine shop heated & straightened the head before machining the gasket surface and carrying out the performance valve seat job. We use the Mira Centronic – an accurate and dependable Swiss made computerized valve seat cutting machine. 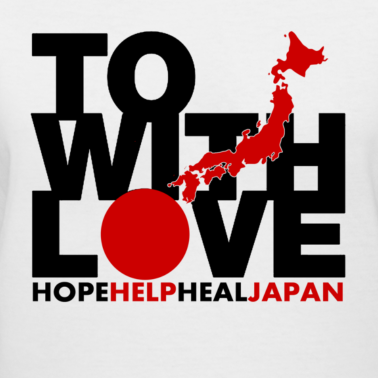 As part of his job Nobu has recently hosted 2 tours of Japan, taking several groups of fortunate school students to his country of birth. Hmmm, if we could just talk him into hosting a tour of all the best that Japan can offer, especially those famous bike & car museums. Asahi beer, anyone?